Dream-life achieved in this one-level ranchalow. Located in the desirable Woodstock neighborhood. Live your best life at home. 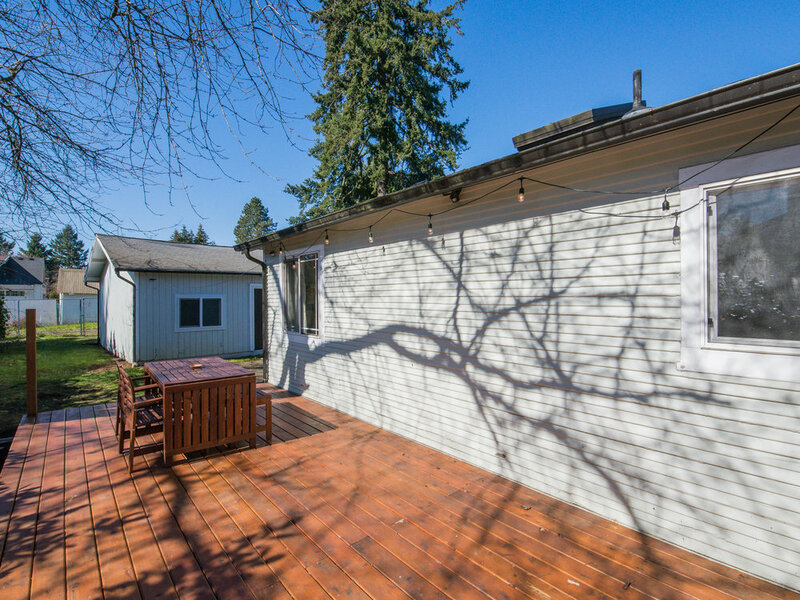 This sweet one-level Ranchalow gives one the setting for a Portland dream-life. Start one’s day enjoying mornings on the covered front porch. Be greeted into the home by entering into a hip open concept living area with vaulted ceiling and hardwood floors. Gaze through the french doors upon the fenced backyard with deck, ideal for entertaining. An updated kitchen allows for ease of meal prep and hosting friends and family. 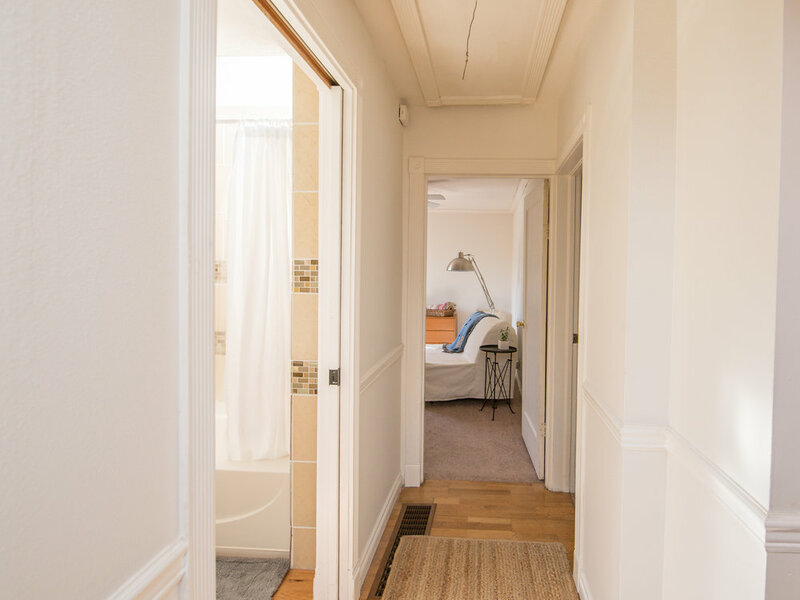 2 beds and 1 bath are tucked away from the common areas, creating a sense of privacy. Adding to the appeal, a recent interior remodel of the detached oversized double car garage is the ultimate Portland studio- exposed trusses, vaulted ceiling, dual garage doors + HVAC. With alley access, this stunning garage is a space with limitless possibilities. A maker's paradise in desirable Woodstock! A light, bright and spacious living room welcomes you into the home. Part of the ceiling has been vaulted giving the room a hip and modern vibe. The wood burning fireplace is an ideal place to curl up near + grab a book to read from one of the built-in shelves flanking the brick surround. A long beam and lowered ceiling separates the living from the dining area, and oak floors extend through to both areas. The dining area has abundant natural light through all sides and connects to the kitchen for ease of hosting intimate dinners. Modern and vintage enthusiasts will delight in the warm wood kitchen cabinets with upgraded appliances, gracious farmhouse sink, subway tile and solid surface countertops - an ideal place to prepare a feast of locally sourced produce. A doorway leads into the laundry room with large storage closet that could be transformed into a convenient pantry or canning room. This 2 bedroom and 1 bath home features a classic ranch layout with bedrooms located off a hallway. Light and bright with skylight in shower. Adding to the appeal, a recent interior remodel of the detached oversized double car garage is the ultimate Portland studio. 1,122 sq ft interior features exposed trusses, vaulted ceiling, dual garage doors + HVAC. With alley access, this stunning garage is a space with limitless possibilities. A maker's paradise in desirable Woodstock! Charming and hip, stewards of this home have tastefully added their touch of improvement. From the stainless steel appliances, farmhouse sink to the ultimate makers studio. 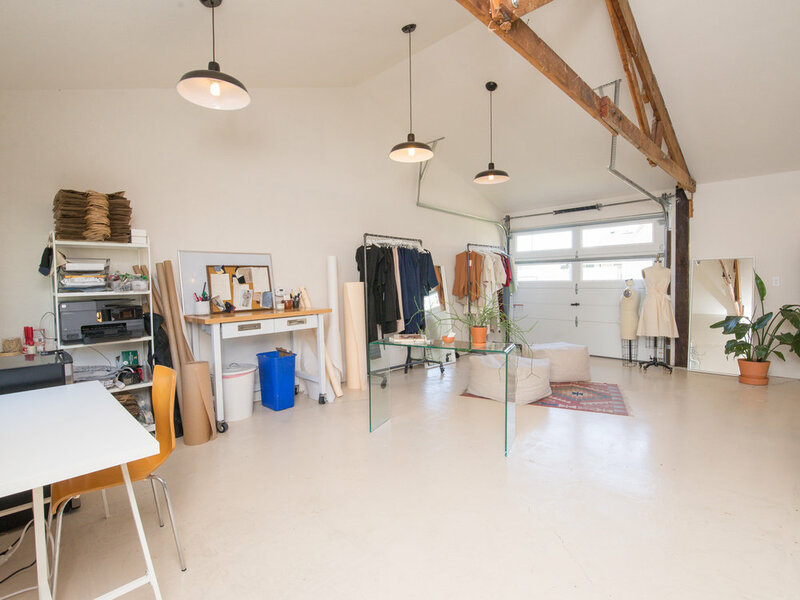 Converted garage to makers studio, allows for endless opportunities. Taking full advantage of the lighting, dual garage doors, and heating and cooling systems in this space. The original wood burning fireplace with a brick surround and built-in shelving, offers a tranquil place to get cozy and curl up with a book. 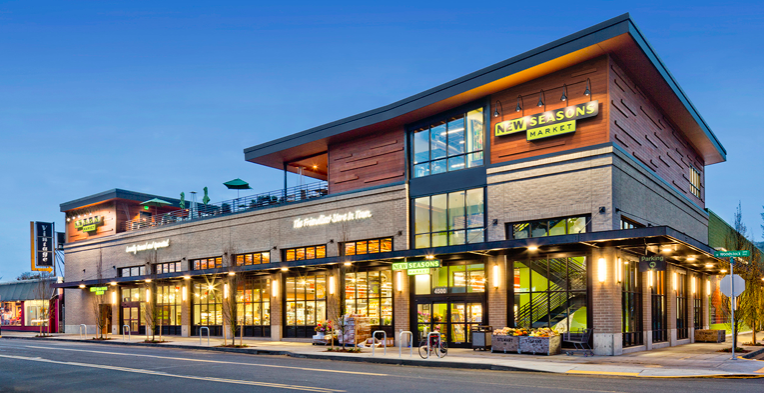 Enjoy the calmness of the neighborhood and venture out to Woodstock that offers parks, grocery stores, local shops, restaurants, paired with easy access to I-5 and downtown. A variety of local and organic grocery shopping along with a wok bar, ramen bar, and a bar-bar. A 100 seat, rooftop “Treehouse Bar and Lounge,” with seating, a kid’s play area, fire pits, cider and beer on tap, and a growler-filling station. SE 47th AVE & Steel st. Enjoy Woodstock Park and all its 14 acres of offerings; dog off-leash area, horseshoe pit, paved paths, picnic tables, a playground, public art, and tennis courts. 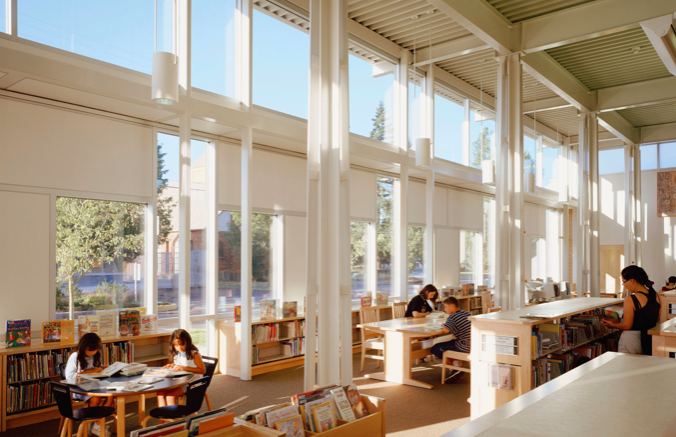 Woodstock Library offers a variety of events for families and kids.